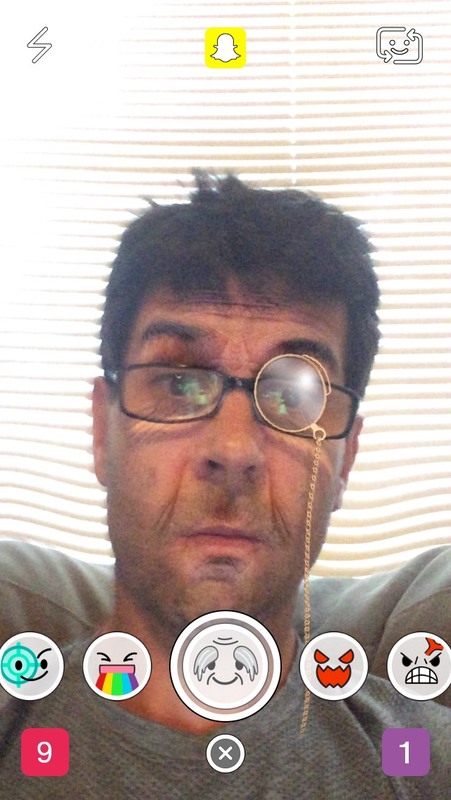 Home › Snapchat Selfie Filters › How Do I Get the Snapchat Old Man Monocle Selfie Filter? How Do I Get the Snapchat Old Man Monocle Selfie Filter? With the latest Snapchat update we are now able to put filters on our selfies. There are a handful that are easier than others. In my experience, the most difficult filter to apply is the old man monocle filter. I have tried a few times to unsuccessfully get this filter. Your face has to be in the exact correct place if you want to get this filter to work. The easiest way to do this is to put your Snapchat in selfie mode, hold down your thumb on your face and allow the filters to come up. Once you do this the old man monocle filter will be the fourth from the left and third from the right. If you want to, you can even create a video with this particular selfie filter. Do you like this one? Do you think you will use it over the next few days or weeks? How Do I Get the Snapchat Rainbow Tongue Selfie Filter? | How Do I Get the Snapchat Zombie Selfie Filter? I don’t either and I can’t figure out why!! I have an android, what about you?